Logic alone will tell you that the latest allegations against the Syrian government are based on lies, distortion and propaganda. The whole narrative makes absolutely no sense. In what way does this incident serve Bashar al-Assad and the Syrian government? 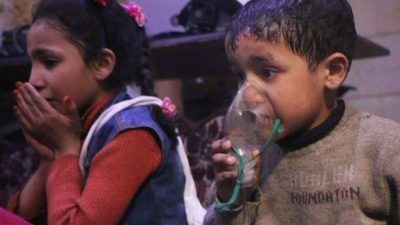 Why would Assad, a man who has survived in power after seven years of incessant demonization coupled with foreign-backed warfare, order a chemical weapons attack when he knows that the enemies of Syria will jump on this as a justification for military operations aimed at regime change? Assad may be many things, but he is not suicidal. Steven MacMillan is a freelance writer and editor of The Analyst Report where this article was originally published. Featured image is from OffGuardian.